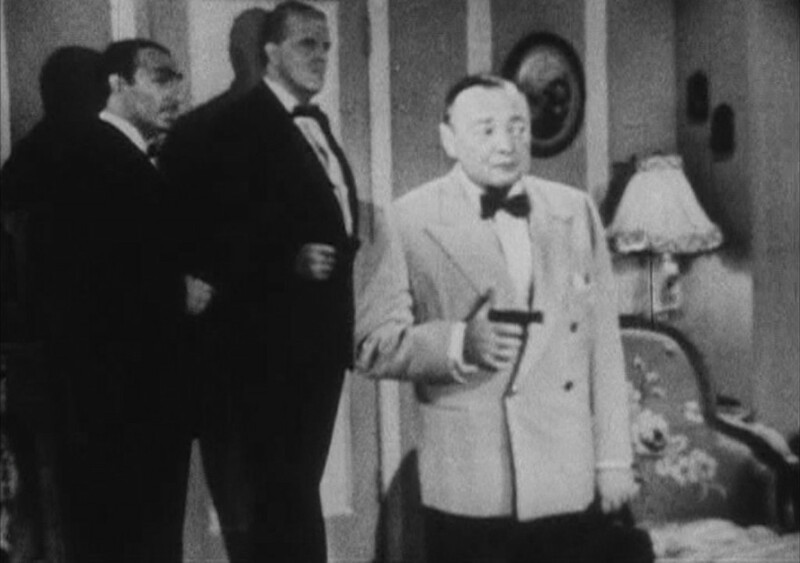 In the 1954 “Casino Royale” television play on CBS’s Climax!, the legendary Peter Lorre became the first actor to play Le Chiffre. Lorre wears a warm-weather dinner jacket like the dinner jacket Barry Nelson wears as Bond, but Lorre’s double-breasted dinner jacket is slightly lighter than Nelson’s buff (pale yellow-brown) or burma (pale red-brown) dinner jacket. Lorre’s dinner jacket is probably light buff, with lapel facings in a similarly-coloured satin silk. Anything but a self facing on a warm-weather dinner jacket’s lapels is not traditional, and it may have been trendy in the 1950s. The satin lapels add an unnecessary flashiness to the dinner jacket, but the flashiness is appropriate for a Bond villain. Lorre’s dinner jacket has four buttons with one to button, and the two rows of buttons are evenly spaced about and below the waist. The jacket has natural shoulders with roped sleeve heads, and the jacket’s chest is clean but cut with a little fullness. This contrasts with the large shoulders, oversized fit and low button stance of Barry Nelson’s dinner jacket, which now looks very outdated. The natural shoulders and clean fit keep the corpulent Peter Lorre from looking any larger than he needs to, whilst the classic proportions and higher button stance keep the 5’3″ Lorre from looking any shorter than he needs to. He may be very short, and nothing can hide that, but he still looks as menacing as always. The jacket also has three buttons on the cuffs, jetted pockets and no vent. The type of buttons on the jacket is difficult to determine, but they are dark and very shiny like black mother of pearl. Lorre wears traditional black trousers—which probably have a black stripe down each leg and are supported by braces—with the dinner jacket. The white dress shirt has a point collar, double cuffs and a wide placket. The black bow tie is in a thistle shape. 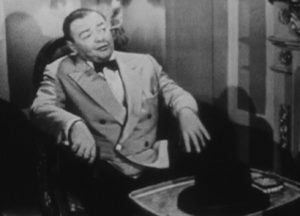 Briefly, Lorre carries a black homburg hat with him, and you can see it on the table in the photo above. 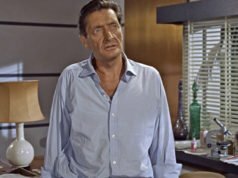 In Lorre’s final scene, he wears a different, but very similar, dinner jacket. Either the original dinner jacket was damaged, or this dinner jacket is an accidental continuity error. This jacket doesn’t flatter Lorre nearly as well as the original dinner jacket does, which is because the new dinner jacket has larger shoulders and a lower button stance like Barry Nelson’s dinner jacket has. The lapels are darker and narrower, and the lapel peaks point more upwards than outwards like the original jacket’s lapels do. The buttons are white or cream. The top of the trousers shows at the bottom of the dinner jacket’s opening. Robbie Coltrane as Valentin Zukovsky wears a very similar dinner jacket in The World Is Not Enough. How does he always manage to do that? Amazing. He’s like Sean Connery in that he has a very limited range, but only he can do what he can do, and he does it perfectly every time. A very limited range ? Come on, Matt, be fair ! He was always great while playing menacing/creepy roles, but he can be very funny too, like in 20,000 Leagues under the sea or Arsenic and old laces. I watched this again the other day. 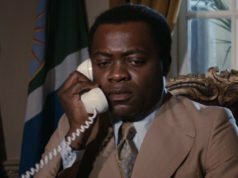 I couldn’t help wondering if Clarence Leiter (Michael Pate) and Jimmy Bond (Barry Nelson) had switched roles, would it have been more ‘acceptable?’ . Pate was almost castable as Bond. Almost. 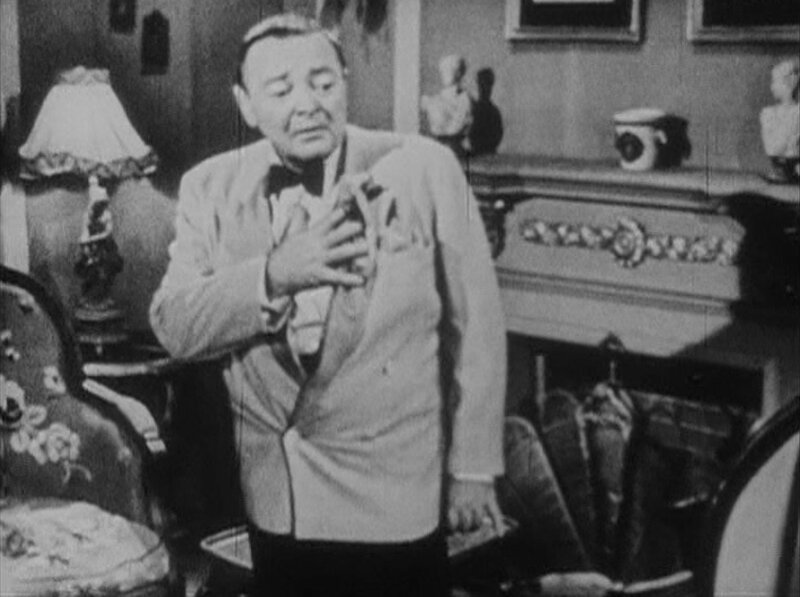 Peter Lorre appears to have had a particular fondness for silk facings on warm weather dinner jackets. 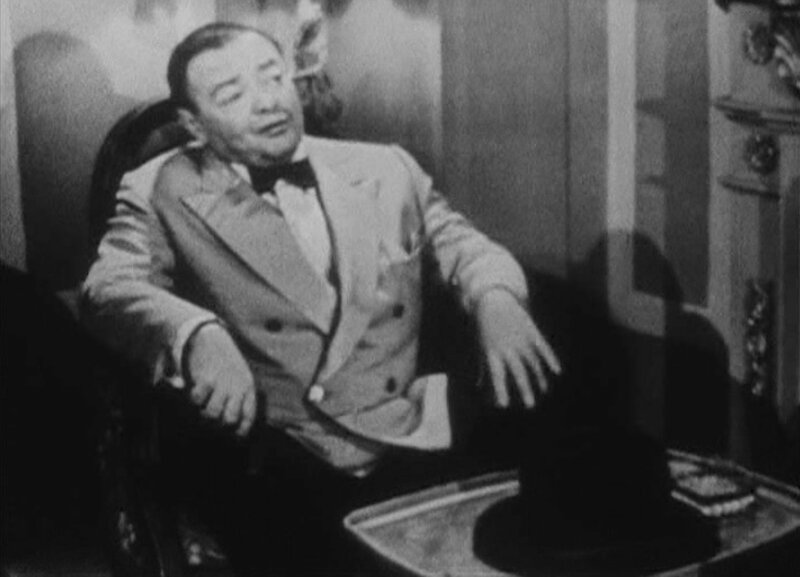 In the late 1930s, playing Mr Moto, he wore them too. 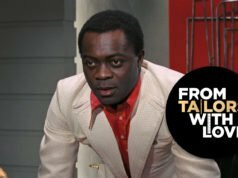 Of course Moto was probably supposed to look slightly unconventional – to reflect both his character and his role as a mysterious oriental man of action and danger – as opposed to the often more conventionally dressed westerners he meets.